R.S. Walia | I.K International Publishing House Pvt. 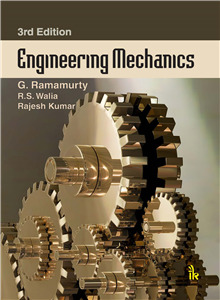 Ltd.
is Professor, Department of Mechanical Engineering, Delhi Technological University, Delhi. He was awarded PhD from IIT Roorkee and has an illustrious, diverse and rich experience in the fields of academics, research and industry. His areas of interest include advanced manufacturing processes, FEM, and industrial engineering. He has published more than 150 research papers in peer reviewed journals and international conferences.